In Town. Close to Everything. Cute. And a Deal. This property was listed much higher when it first went on the market. At $450,000, this three bedroom, three bath duplex is a great deal. Victorian style, on High Street which is three blocks east of the center of Main St. Breckenridge. High Street allows the best views of the Historic district, easy walk to post office, shops, restaurants, bus stops and easy to reach in-town hiking trailheads. 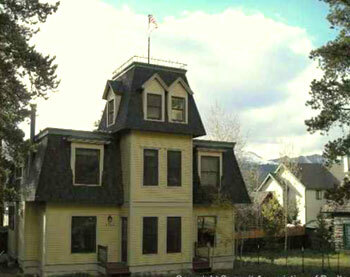 See Breckenridge Real Estate Deal of the Week for more information from the MLS from my office Resort Brokers. This page contains a single entry by Jan Radosevich published on February 4, 2010 3:28 PM. View from my Deck February 2010 was the previous entry in this blog. Mardi Gras Breckenridge 2010 is the next entry in this blog.